Real Madrid are not having a good time this season and a lot of the blame has been put on Florentino Perez, Santiago Solari and club captain, Sergio Ramos. The Spanish defender has now taken to Twitter and answered a series of questions that have been thrown at him in the last one week – especially after the humiliating loss to Ajax. “As footballers, we like to do our talking on the pitch but this season is not turning out that way. Recent events have been disastrous and I’m not hiding. We are not hiding. We the players are primarily responsible and I, as captain, more than anyone,” Ramos wrote on Twitter. “That's why I thought that the most honest way to answer the questions that are circulating around us would be to tackle them directly. Was the yellow card in Amsterdam an error? Absolutely it was an error and I take the blame 200%.” added the defender. Barcelona are keen on signing a long term replacement for Luis Suarez and have finally set sights on a potential target. Reports in Spain suggest that the Catalan side have decided to go all out to sign Maxi Gomez in the summer. Gomez has been in stunning for Celta Vigo this season and has a €50M release clause on his contract. However, if the Celticos get relegated, the clause reportedly comes down to €25M and Barcelona are hoping to snap him up. However, Liverpool and West Ham United are also keen on signing him. And it is official! 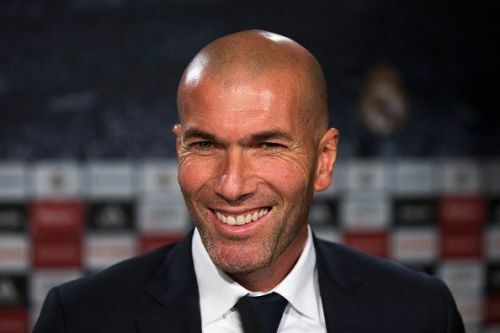 Zinedine Zidane is back at Real Madrid after leaving the club last summer. The Frenchman has signed a deal until June 2022 and is likely to remain at the club until then. Reports in Spain suggest that he set one big condition before accepting the return. The report claims that he wanted full control of the dressing room with zero interference from the board or the president.